Successfully Added HK Warehouse Elephone P8 Mini Android Phone - Octa-Core CPU, Android 7.0, Dual-IMEI, 5-Inch FHD, 4GB RAM, 13MP Dual-Camera (Red) to your Shopping Cart. The Elephone P8 Mini smartphone packs some significant power within its sleek and compact body. Underneath its beautiful 5-Inch display, you’ll find a powerful Octa-Core processor from MediaTek. This CPU has been clocked at 1.5GHz thanks to which it treats you to a smooth and outstanding experience while tackling the latest software. You’ll furthermore be treated 4GB of RAM that opens up the doors for excessive multi tasking sessions. With 64GB internal storage and a 128GB SD card slot, you’ll never find yourself worrying about storage space. No matter your mobile demands, the Elephone P8 mini Android phone is sure to handle them all. The 5-Inch display of this affordable Android smartphone delivers beautiful 1080p visuals. Thanks to this, you’ll be able to enjoy crisp details and a wide color range while watching your favorite films or series. By supporting Google Play, it treats you to free access to millions of the latest Apps and Android features. This truly lets you take the most out of this stunning Android 7.0 cell phone. A 2860mAh battery delivers enough juice to keep your phone running for up to 12 hours straight. With its Dual-IMEI numbers and 4G support, you’ll be able to stay connected no matter where you’re at. Additionally, your cheap Android phone also packs a high-end 13MP Dual-Lens rear camera. This piece of equipment lets you shoot breathtaking images and video of all those special moments that lay ahead. But this is not all as, for all selfie lovers out there; the Elephone P8 Mini comes with a 16MP front snapper. This little camera lets you engage in high-quality video calls and shoot the perfect pictures with your friends and family. 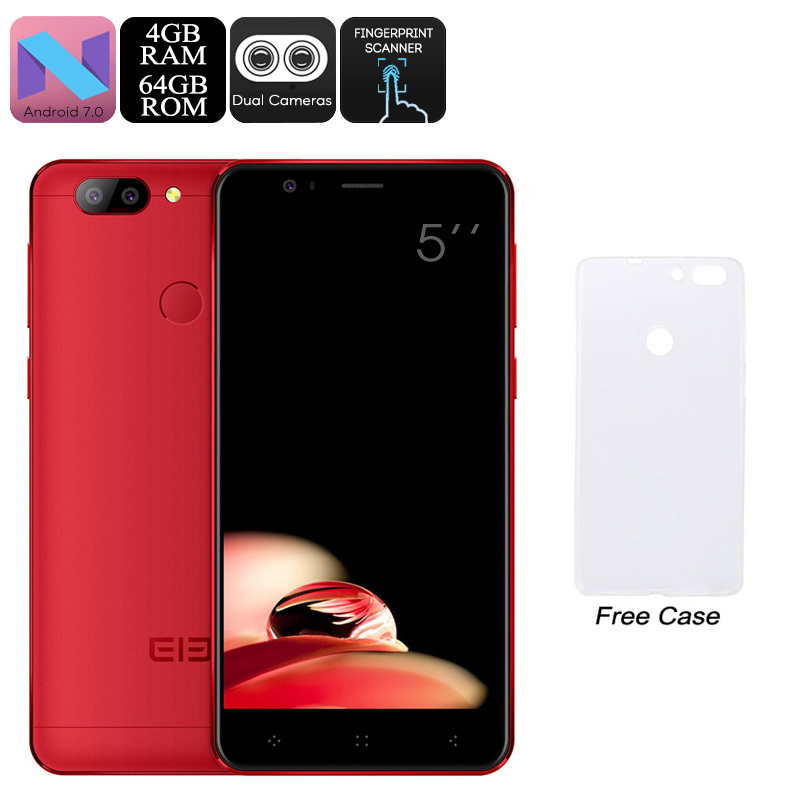 The Elephone P8 Mini Android Phone comes with a 12 months warranty, brought to you by the leader in electronic devices as well as wholesale smartphones..